Looking for Wedding Cakes? Call Us Now! Are you looking for delicious cakes for your special events? Why go anywhere else? 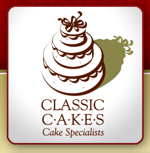 Visit Classic Cakes! We have been offering amazing cakes at affordable prices for over 23 years. Whether it is a birthday or wedding cake, you can count on Classic Cakes to get it designed just as you dreamed. Classic Cakes has a showroom displayed with forty life-sized wedding cakes and two albums especially for brides. Celebrate your special events with a sweet cake treat from Classic Cakes. If you have any questions regarding our services, give us a call at (317) 669-9183. We would be happy to assist you. Copyright © 2018 classiccakescarmel.net All rights reserved.